Dwayne Michael Carter, Jr. was born September 27, 1982, renouned by his stage name Lil Wayne, a rapper born and raised in New Orleans, LA. 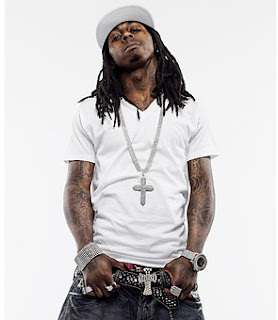 At nine, Lil Wayne signed with Cash Money Records as the youngest member of the label, lil wayne songs were a fast growing trend as he made half of the duo, The B.G. 'z, with B.G.. In "97" Lil Wayne joined with the group Hot Boys, which included rappers Juvenile, Young Turk and B.G. Hot Boys became a blog epic with the new hit single, Get It How U Live!. Lil Wayne was a mixtape and album guru after his success with the group's best yet selling mahor album Guerrilla Warfare, "99." Also in 1999, Lil Wayne released platinum album Tha Block Is Hot, later that year, with over 1 million copies sold.